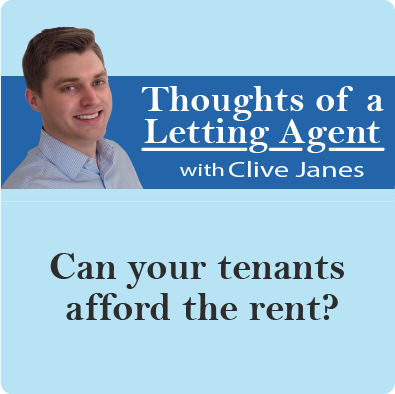 Chichester Property News: Can your tenants afford the rent? Can your tenants afford the rent? I’ve just come back from a viewing in Chichester for a lovely two-bedroom house I had available to rent for £925pcm. What struck me was the level of discussion the couple who were viewing it had over whether they could afford to rent it or not. This might have set my alarm bells ringing as to the true answer of that question, after all it is in no ones interests to have tenants in a property who are struggling to pay the rent. I think though it showed the tenants’ decent nature and good intentions of wanting to ensure they could afford the house and not run into problems further down the line. I offered them some insight regarding the referencing parameters used within the industry, which I thought I’d share with you too. The simplest one to get your head around is that the applicants (prospective tenants) need to show provable income of 30 times the monthly rent per year. So, what with this house being £925pcm, the tenants would need to jointly earn £27,750 per year (925 x 30) to ‘afford’ the property. With salaries of £16,000pa and £14,000pa, together the simple answer was ‘yes’, they could afford the rent. This is rather simplistic though and so I added a few further things into the mix that might be useful for you to consider too. What other bills will there be; what’s the council tax band and how energy efficient is the property (and therefore will the running costs be higher or lower than normal?). Are the tenants moving from a rental property or their own home? If it’s the latter, they’ll likely have a mortgage to pay until they sell, increasing their monthly liabilities (the same goes for any car finance / outstanding debt). Finally, consider the fact it is preferable to have two prospective tenants with a combined salary of £30,000, rather than a single tenant with a £30,000 salary. Firstly, it lowers the risk of a change of circumstances from completely wiping out the tenants’ income. 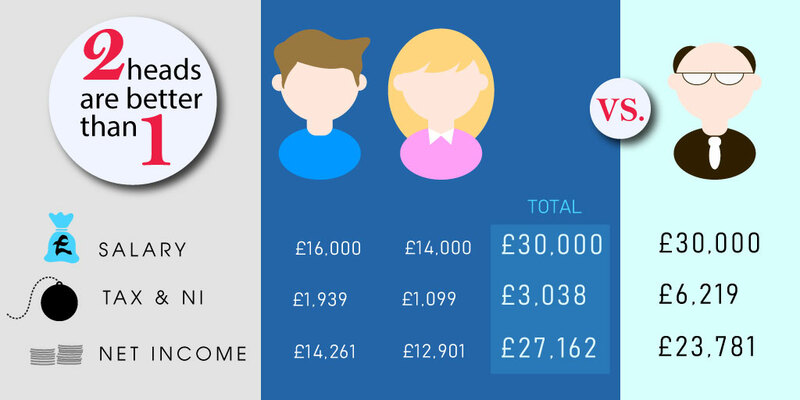 More interestingly, a couple with a joint income of £30,000 actually earns more after tax than a single earner with the same income. In the example earlier (£16k+£14k vs £30k), it’s around £275 a month more! For non-earners, don’t simply assume savings in the bank is proof they can pay the rent as it’s surprisingly easy to spend a large sum of money in the right car showroom! 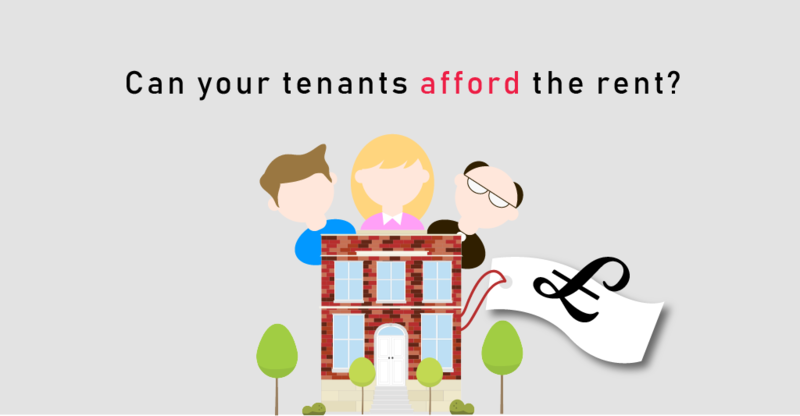 If you’re in doubt, or if a tenant doesn’t meet the affordability criteria, you could always seek a suitable guarantor if this is appropriate, rather than not giving potentially decent tenants a chance. If you are looking for an agent that is well established, professional and communicative in Chichester, then contact us to find out how we can get the best out of your investment property.